I normally don't go for super girly, frilly, flowery scents. But I've made an exception in the case of The Body Shop Amazonian Wild Lily Shower Gel, because it just smells SO. DARN. GOOD. As with all shower gels from The Body Shop, this one lathers up wonderfully. Only a dime-sized amount is needed to create a rich, lush, luxurious lather upon your pouf, filling your shower with the rain-kissed cool of the jungle. A blend of floral and aquatic notes is refreshing, rejuvenating and exotic. I've been using this in the mornings and it's a wonderful way to wake up! 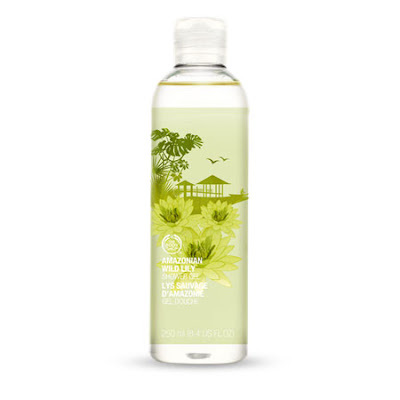 The Body Shop Amazonian Wild Lily Shower Gel retails for $10 at thebodyshop.com.